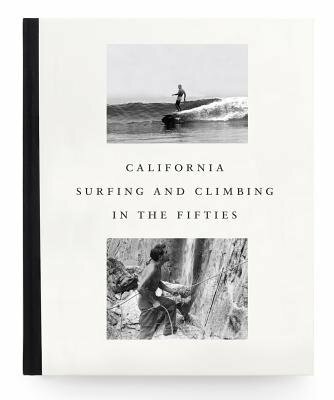 The story told by the photographs in "California Surfing and Climbing in the Fifties "takes place against the larger backdrop of postwar America: Truman and Eisenhower, the Korean War, the Cold War and the Red Scare. Young people were embracing new symbols of non-conformity: Elvis Presley, Jack Kerouac, Marlon Brando and James Dean. All along the California coast, surfing became popular as heavy balsawood boards were replaced with lightweight ones crafted from polyurethane foam, fiberglass and resin. Meanwhile, climbers descended on Tahquitz Rock in the south and Yosemite Valley to the north to test handcrafted equipment that would set new standards for safety, technique and performance. The photographs in this volume include images of legendary surfers such as Joe Quigg, Tom Zahn, Dale Velzy and Renny Yater, in locations such as Rincon, Malibu, South Bay, Laguna and San Onofre; and famous climbers such as Warren Harding, Royal Robbins and Wayne Merry among others, photographed mostly in the Yosemite Valley by the likes of Bob Swift, Alan Steck, Jerry Gallwas and Frank Hoover. Soaked in surf, sun and adrenaline, the photographs in "California Surfing and Climbing in the Fifties" depict the birth of an era and an exhilarating moment in Californian history.